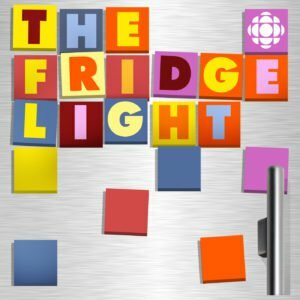 Earlier this year I got to work with the outstanding food journalist Chris Nuttall-Smith on the pilot for a new CBC podcast. It officially launched September 27, and I’m thrilled to see it out in the world (you can subscribe here). I think it’s great, and I’m not just saying that because I helped produce it. Nuttall-Smith is a helluva fine journalist: curious, thorough and dogged, an expert in his field – and, on top of it, hilarious as hell off the cuff. Listen to Episode 1 (Dark Meat/White Meat) or Episode 2 (One Word: Yeasts) and make sure to subscribe to hear future episodes. I love the idea of music that is tied to specific places. It’s a stimulating challenge for a composer: to try and write music that somehow evokes or captures a place. That’s one of the things I wanted to do when I was approached by Neworld Theatre to write the music for C.E. Gatchalian‘s new podplay, Authentic, which was released today and is available from the Neworld Theatre website. Authentic is a love story between two men from very different cities, a Vancouverite and a New Yorker. The script is gorgeous, highly evocative, and the performances (by actors Marco Soriano and Bob Frazer) are very compelling. It was a privilege to work with this material. I strove to create a musical flow that had two contrasting motifs within it: two motifs that would reflect the differences between the two cities, but that could also meld into each other. The Adagietto from Gustav Mahler‘s 5th Symphony plays a part in the story, so I wanted to incorporate snippets from that lovely, famous melody into the music for this play, as well; and, finally, because it is a play that unfolds along two of downtown Vancouver’s busiest streets, Seymour and Richards, I wanted city sounds to make up a part of the music too. Authentic is best enjoyed while walking the route for which it is written, but of course, you don’t have to be in downtown Vancouver to give it a listen. 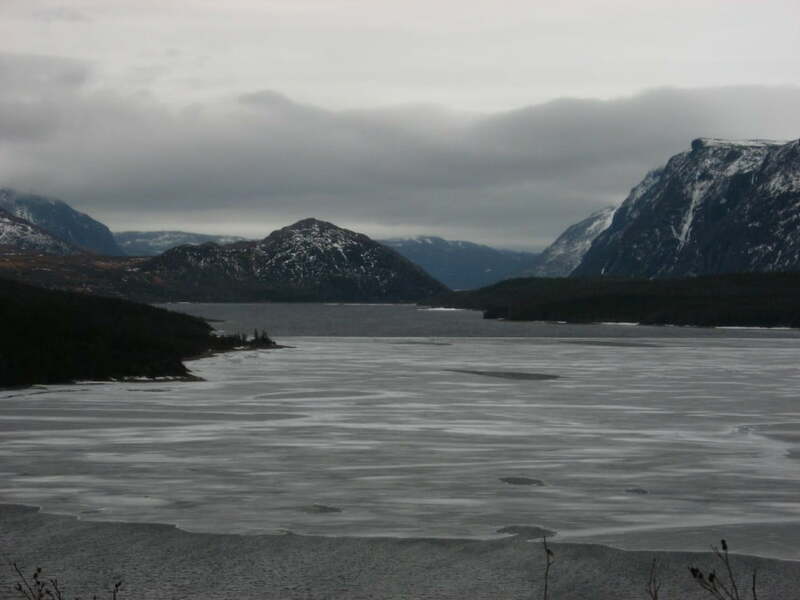 CLICK HERE to listen to Gros Morne: The Bones of the Earth – my feature documentary about how the theory of plate tectonics found firm footing in Gros Morne National Park, in Western Newfoundland. UPDATE: Bones of the Earth wins Gold Medal at New York Festivals! 2011 marks the 100th anniversary of Parks Canada. In Western Newfoundland, there’s a national park that holds the key to one of the most important scientific ideas of our times. Gros Morne National Park is kind of like the Galápagos of geology – you might go to the Galápagos to experience first-hand the wonder of biology and the theory of evolution. In Gros Morne, you can experience first-hand the wonder of geology and the theory of plate tectonics. Instead of looking out for Darwin’s finches and giant tortoises you’ll come face-to-face with vistas and rock formations that will take your breath away. About a year ago, I was lucky enough to go to Gros Morne with my microphones to capture the echo of a continental dance that happened 500 million years ago. My colleague (and great friend) Chris Brookes and I sought out that echo in the words of geologists, artists, musicians and poets, and in the sounds of the park itself. Then we wove it all together, along with poetry by Don McKay and traditional Newfoundland music performed by Daniel Payne, Jean Hewson and Christina Smith. The result is a documentary called Gros Morne: The Bones of the Earth, and you can listen on-demand, whenever you like, HERE. This documentary was produced with the support of Parks Canada, and sometime this summer, a longer version, presented by Shelagh Rogers, will be available in Gros Morne National Park and online. The good folks over at The Banff Centre have been publishing a gorgeous multimedia journal for the past couple of years called BoulderPavement. The latest issue is based around the idea of Body & Dance and features fabulous original artwork and compelling literary non-fiction, among other things. I’ve been lucky enough to contribute regularly to BoulderPavement and I’m thrilled to be a part of this issue as well. For this original audio composition I decided I wanted to get at the question of the origins of rhythm, and the close relationship between music and our bodies that we sometimes take for granted. Thinking about this, I remembered a great story told by Ustad Zakir Hussain when my colleagues and I interviewed him for a project called The Nerve. That became the basis for this mini-doc, a kind of “scored story” with original music and sound design. How do you mash up the sound of a year? In less than 2 minutes? It’s an interesting challenge, and CBC Radio One’s Saturday morning show Day 6 put it to me a couple of weeks ago. They gave me some simple parameters – I had to use clips relating to their Big 6 stories, the top stories of 2010 in six categories as selected by Day 6’s listeners, unveiled on their New Year’s Day program: Haiti, the Chilean Miners, the BP Oil Spill, Steig Larsson, Betty White and the iPad. They also asked me to include 2 stories that didn’t make their final cut – Justin Bieber’s popularity, and the Wikileaks affair. Here’s hoping we can all plug some holes and make the world a little bit better in 2011 than it was in 2010. I’m thrilled to announce that my documentary The Sound and the Sea has won a Silver Medal for Best Sound at the 2010 New York Festivals Radio Program and Promotion Awards. I produced it last year for CBC Radio’s The Current. It was based on my original audio artwork Ode to the Salish Sea. Producing it in documentary format allowed me to explore more deeply the story of the Salish Sea and its various proponents and opponents as a new name for the inland waters stretching from Olympia, WA to Campbell River, BC. The Salish Sea became an official geographic name in July, 2010, overlaying but not replacing existing place names like the Strait of Georgia and Puget Sound, which also remain official. The sound design of The Sound and the Sea was inspired by the diversity and beauty of the Pacific Northwest.